Let the fasting and feasting begin. This month of August marks the holy month of Ramadan. 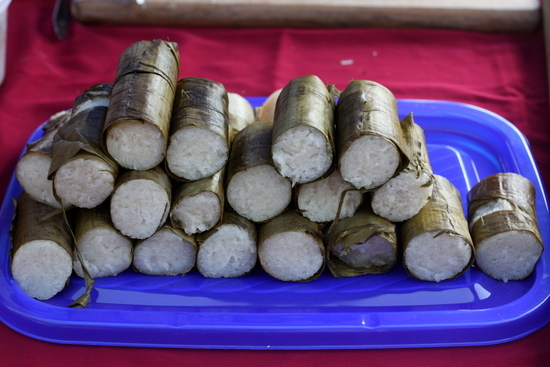 It is also the best time for foodies to enjoy a plethora of Malay food from all over Malaysia at the bazaars. As usual, everyone seems to pack themselves in the first week to the bazaars to see what's on offer. Limited by where I'm located, I decided to give Subang Jaya a try. It took me a breeze to get there but traffic back to the office was like playing bumper cars in an amusement park. It's fun to rewind back to almost one year and visit these places. Kinda like looking back to old friends. As usual, whenever I walk down Subang Jaya, I'll bump into one of my blog readers, fulltimemomkl who lives around the corner. So what's on offer this year? The usual stuff I reckon with a few stalls peppering the regular ones. It is not only about Malay food as Western themed stalls are also a great draw here for the variety. Hence you have roast potatoes (foil wrapped with various cheesy fillings), oblong or a Chinese twist as they call them prosperity burgers, deep fried potato chips (those funny rotating ones in one long stick) and there's even Uncle Bob's fried chicken. 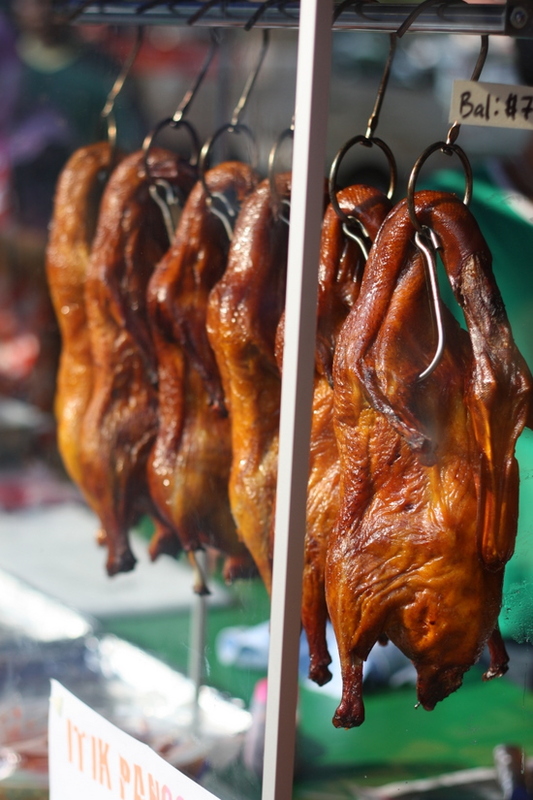 Being a multi-cultural country, there's even Chinese influences like roast ducks, a common thing you see in this part of the town as Shah Alam's bazaar will also have these gleaming feathered chaps. I was quite surprised to see the Petaling street's Air Mata Kuching there but I suspect the banner was all about marketing since it also proclaimed to see Taiping Ling Chee Kang! Some changes also to regular stalls. 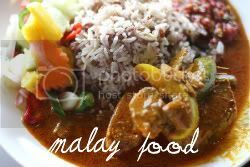 The most popular Malay dishes stall that is usually nearer to the main road had shifted across and done away with his signature large enamel trays. Instead it looks almost unrecognisable with their steel long containers that remind me of a buffet spread. 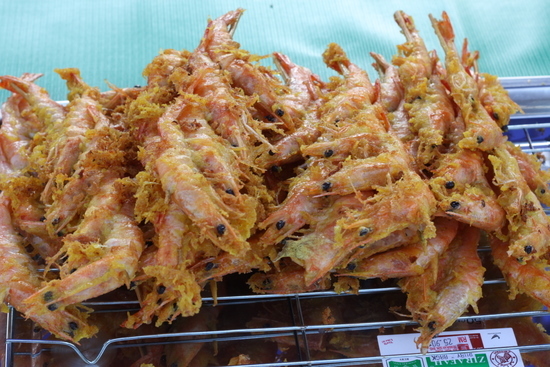 Nevertheless, the varieties are still there such as crab curry, vegetables and etc. Grilled items are often a big draw here. I've often said spot the smoke and you will sniff out a bazaar. It's one of my "tricks" to suss out where a place is if I'm ever lost. Kinda like smoke signals. 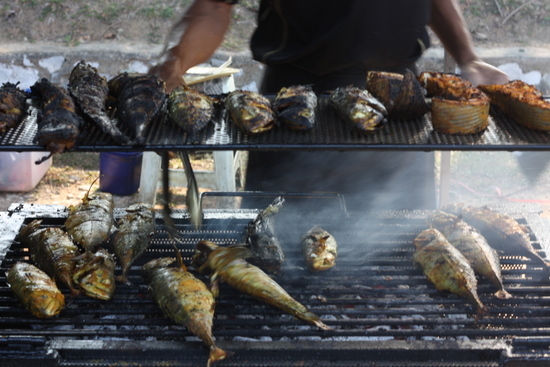 There's not too many grilled fish stalls (2 to 3 I think) but one chap did something innovative with his grill - a double decker version to keep his fish warm. Hopefully it does not dry it out as his fish looked really carbonised. 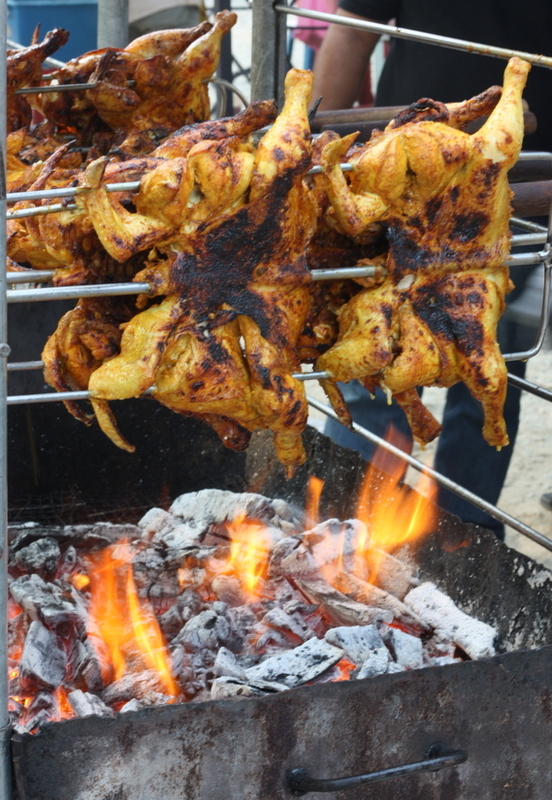 There's also the rotisserie chicken stalls - whole chicken turning on a steel pipe over charcoal fire. And strangely enough, this daging bakar rimau nangis stall. 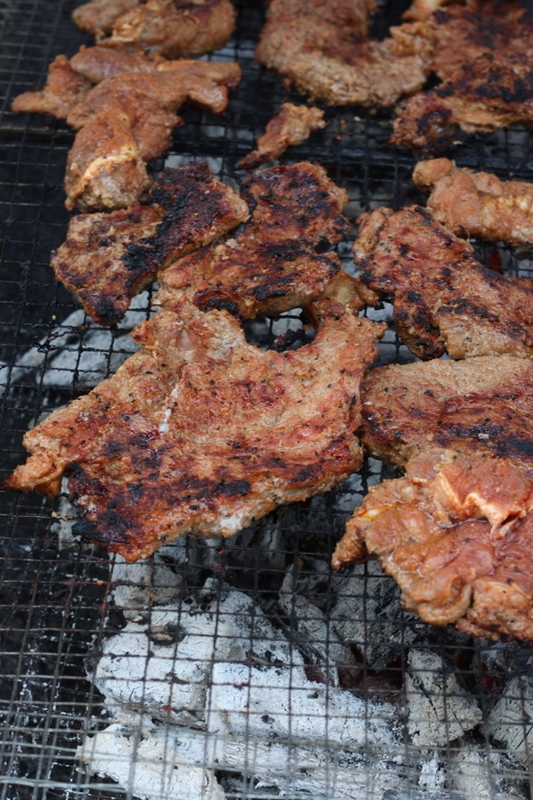 The guy manning this stall was pulling my leg saying it was tiger meat but it looked like beef slices rubbed in a chilli mix that is grilled on an open charcoal fire. One stall completely grabbed my attention span for most of the time i.e. Azmi Murtabak. There's a lot of effort in cooking this RM3 murtabak. 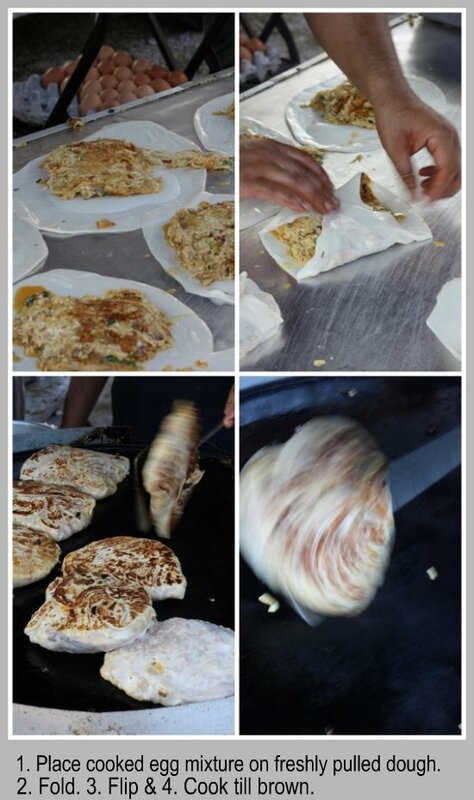 First, the roti canai like dough is pulled and stretched till thin. Then it is pan fried on a hot plate with oil till both sides are crisp. The pan fried piece is placed back on the hot plate. An eggy meat mixture is whipped up in a jug and poured on top of the pan fried pieces. Flip it over like an omelette and it gets cooked even though it kinda looks like an eggy mess. Top with another slice of pre fried roti canai and then repeat with egg mixture, flipping it over. 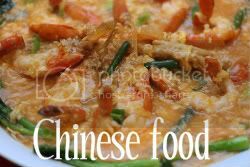 Remove it and place on another piece of stretched roti canai dough. Wrap this up and pan fry until both sides are brown. Literally a "murtabak lasagna" as I heard one of the queue people mention since you get the layers of crispy roti canai dough sandwiching the eggy meat layers. Incredibly innovative I reckon. Desserts though seems to be the big downfall here with few kuih muih (Malay cakes) available. There was one stall selling jelly that sold like hot cakes. One interesting stall sold ondeh ondeh using gula melaka from Thailand. Seems this variety does not melt so fast hence I can imagine it'll still be whole when you bite into each green morsel covered with fresh coconut. 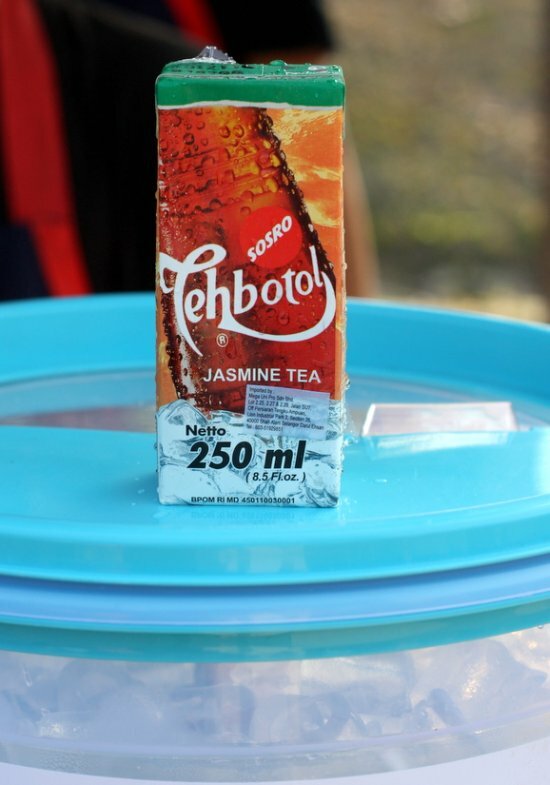 For drinks, there's Teh Botol Sosro, the jasmine scented tea drink and Barbican non alcoholic beer. For more pictures, see the Flickr Set. Previous years bazaar are in: 2006, 2008. I wonder if I can make my own murtabak... but then again, I risk my entire apartment! 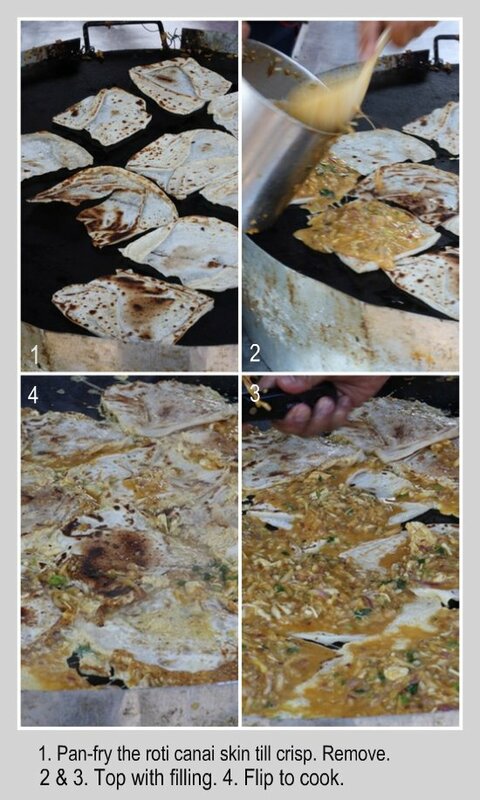 I would love to try a roti one day. There were at least 5 stalls selling murtabak in the RB I went to yesterday. So much competition! 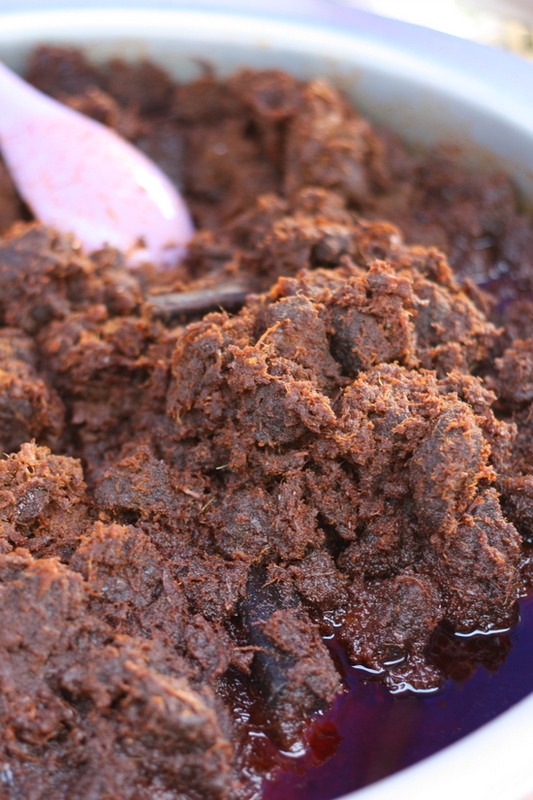 That rendang looks the BUSINESS! Deliciousssss! 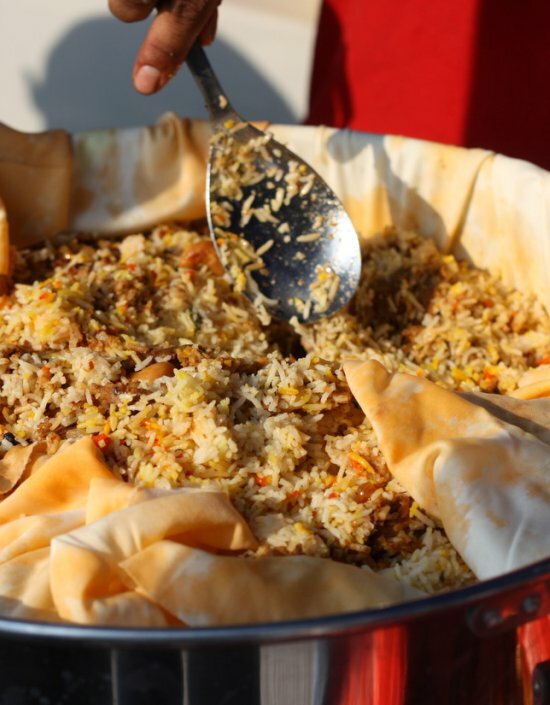 Do you know what time ramadan bazaar usually opens till? Hooray and thus begin your annual Murtabak hunt! 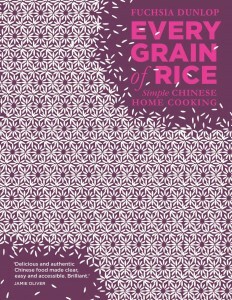 By the end of the month, you can make some for us too. yay! where is roti john man? lol. Interesting to see roast potatoes - didn't think they were popular. Oh, how I long for some murtabak! wah, u r fast!! 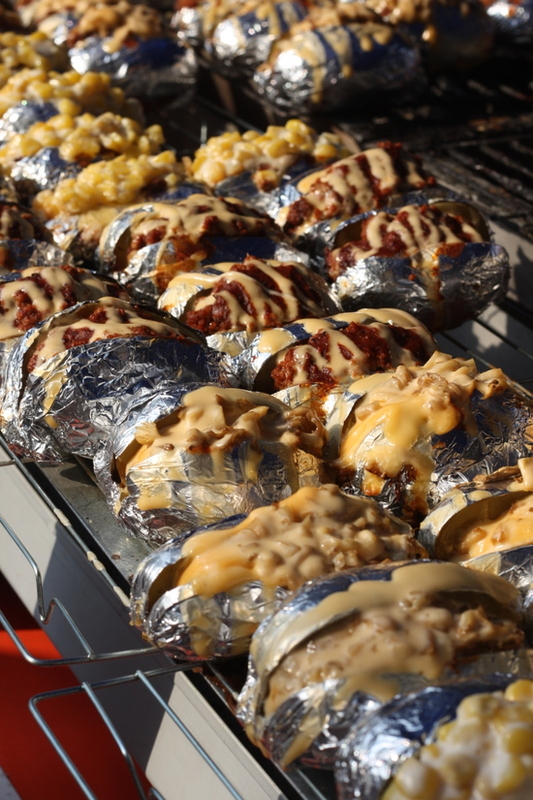 The baked cheese potatoes, I want!!! It was nice to bump into you. Murtabak Azmi was fantastic. I'm still waiting for the Turkish guy to start though. He's normally there much later in the month. Ditto, I agree with Kenny. Every year you'd never failed to amaze us with great pictorial stories on the bazaars around Klang Valley. Just happened to throw some ideas on whether should we visit Ramadan bazaar this year for the sake of it ... and guess not, given the immense jam after work. 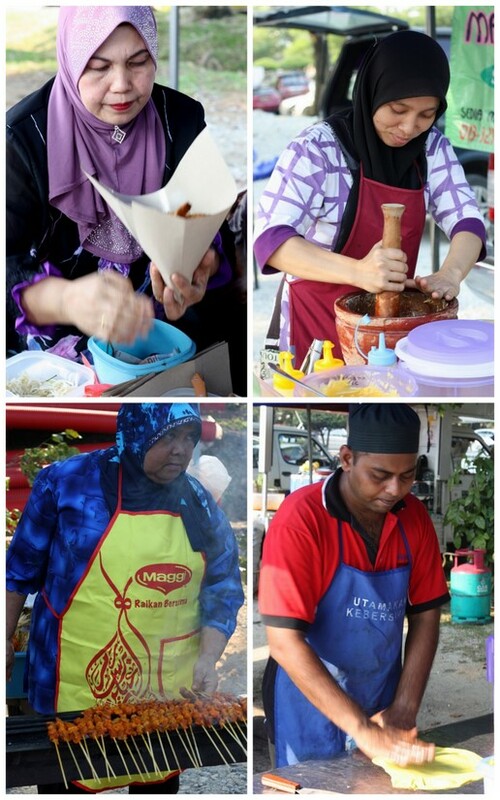 if by any chance have you encountered any great sup daging in any ramadhan bazaar can you post up? :) missing my weekly fix.. the guy i go to has closed for ramadhan and i don't know where he went.. I am going there with my camera tomorrow evening after work... looks like a lot of fun ! thanks !! !